Emilie Gibson’s fight against childhood cancer is far from over. Her parents, Trey and Candi Gibson, are keeping her memory alive through a new foundation aimed at raising awareness and supporting research, institutions/organizations, families, and initiatives. 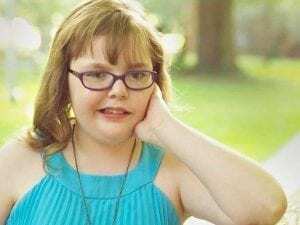 Plans for the Fight Like Emilie Foundation were formally announced on June 15, which would have been Emilie’s 11th birthday. Emilie was diagnosed with DIPG (Diffuse Intrinsic Pontine Gliomas), a deadly brain tumor, in September 2016. DIPG is the most common brainstem tumors in children, representing approximately 75-80% of all pediatric brainstem tumors. Unfortunately, fewer than 10% of children with DIPG survive two years from diagnosis. Trey vividly remembers going to a doctors appointment last September and hearing the news that Emilie’s tumor was growing and not responding to treatments. Sadly, Emilie passed away Oct. 31, 2017 after a nearly 14 month battle. Brain tumors are now the most common cancer and cause of cancer-related death in children less than 15 years of age. Unlike many other pediatric cancers, there has been little progress in improving treatments and cure rates for DIPG over the last few decades. That’s something the Gibsons want to see changed through the Fight Like Emilie Foundation. Some great news this year was President Donald Trump’s signature on the Childhood Cancer STAR (Survivorship, Treatment, Access & Research) Act. It’s described as the most comprehensive childhood cancer legislation ever taken up by Congress, representing important bipartisan legislation designed to advance pediatric cancer research and child-focused cancer treatments, while also improving childhood cancer surveillance and providing enhanced resources for survivors. The foundation won’t be solely focused on DIPG, but for all childhood cancer. Trey knows Emilie would be excited about their mission. Some of the things they want to do were actually her ideas, one of those being a childhood cancer float for Mardi Gras parades. Being in a parade was on Emilie’s bucket list before she died. Thanks to some very generous people, she was able to ride in the Krewe of Highland parade last year. The idea now is to create a float for children with cancer to give them the opportunity to ride in a parade just as Emilie did. They also want to see improvements made in Shreveport-Bossier for other childhood cancer families. Trey said there will be opportunities available in the future for the community to get involved in Emilie’s fight. “We definitely want people to join us. This is a battle we can’t win alone,” he said.